Feeding Children Worldwide – Called "Racing to Eradicate Hunger"
Since 1998 Feeding Children Worldwide and friends like you have provide meals for needy children at home and overseas. Thank you! In February of 1998 three friends traveled to Minnesota and agreed to begin Feeding Children Worldwide, Inc. as a humanitarian organization in the Greater Chicagoland area. Ken, Larry and Eldon made the trip and returned with the desire to provide meals for children in Angola. 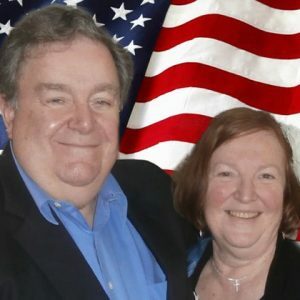 Since 1998 Eldon and Twyla Tracy have served as the co-founders of FCW. Hundreds of friends, students and organizations have helped provide more than 2.3 million meals. Due to problems in Angola, the focus of Feeding Children Worldwide changed to helping provide meals for children in other nations. 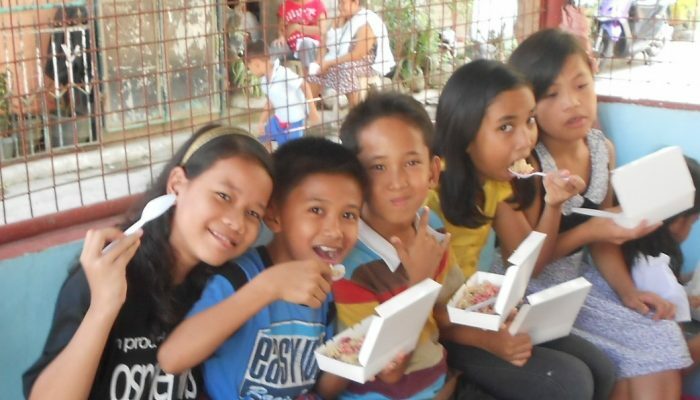 Today FCW is focused on providing meals in the Philippines and funds for food through the Plus Program to orphanages in the nations of India, Honduras and the Philippines in locations where meals cannot be shipped. In 2004 the campaign theme of ” Racing to Eradicate Hunger ” was adopted. Since 2000, our special friends from the Rotary Club of Chicago O’Hare and Rotary District 6450 have promoted and sponsored meals with FCW. We offer you an opportunity to provide and package nutritious meals for needy and starving children. 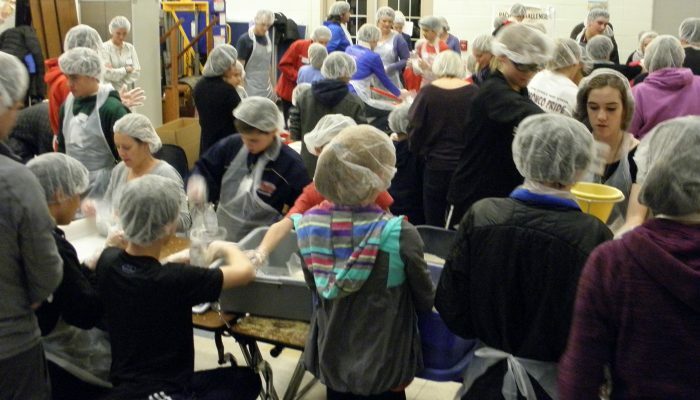 These packing events provide opportunities for individuals of all ages to help children with food. Packaged meals are then shipped to ongoing feeding programs established and approved by Feeding Children Worldwide. Ten percent of all funds raised are set aside to provide meals for orphans presently in India, Honduras and the Philippines. This is called the Plus Program. Direct donations can be given to the Plus Program. All financial donations are needed and appreciated. We take the product to your location for you and your volunteers to package the meals. Become one of the groups who pack with us each year. You can plan a group pack for your organization or family. The present minimum donation for a pack is $600 which provides 2,160 meals for children. For every added $60 you can package an additional 216 meals. First, make a list of all the questions you might have concerning a pack. Secondly, then call us (Eldon) for assistance. Thirdly, create your team of volunteer. Fourthly, do your fund raiser. Fifthly, establish the dates your team is available, then call us and set up the packing date. Eldon is at 1-630-639-1408. Give monthly to provide meals for children. “We can make a difference in our world one child, one adult and one community at a time.” Together we can help thousands of children have nutritious meals that are needed for proper growth. Join us now in making a difference for needy children. Today your gift can make a difference in the life of a little child! $100 provides a meal day for a whole year for a hungry child. Send your best gift today to FCW / PO Box 883 / Mount Prospect, IL 60056. Your gift of $1,000, $5,000, $10,000 or more for Feeding Children Worldwide will enable us to cover our operational cost and keep the cost of meals down for those who sponsor meals. Know that your sponsorship is needed and appreciated. 10% of all cash donations along with any designated gifts are directed to provide meals for orphans. Presently the Plus Program feeds orphans in the Philippines, India and Honduras. If you would like to donate funds to these three projects or sponsor an orphan please contact our office. Box a month sponsors for $60 a month provide meals for seven needy children a meal a day for the year. Each box provides 216 meals for needy children. Several groups help us by sponsoring boxes. Please join this group monthly.